Third Saturday meetings at the Raleigh Grande. 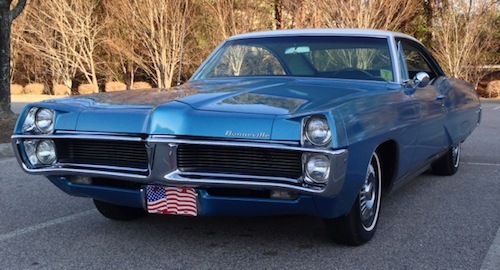 This mint condition 1967 Pontiac Bonneville with a white top was one of the oldest models to show up. 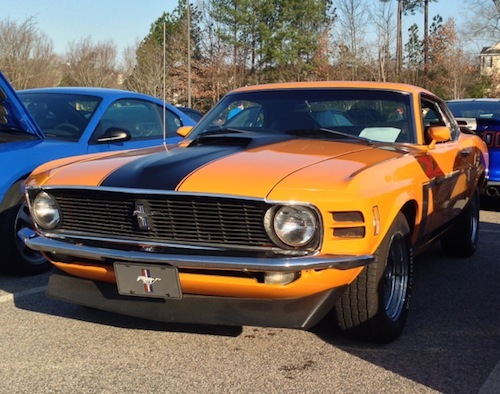 Cars and Coffee has come back to Raleigh, NC. 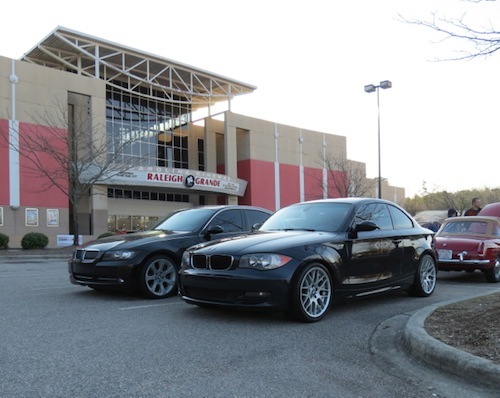 This past Saturday the inaugural meet up of the *new* Cars and Coffee Raleigh was held and judging by the amount of coffee consumed and the cars on hand, future gatherings may soon fill the Raleigh Grande theaters entire 550-spot parking lot. 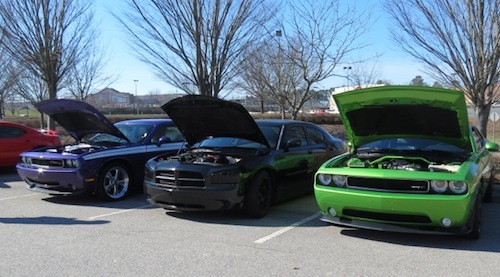 Upon my arrival precisely at 8 a.m., a contingent of 30 Mopar models composed mostly of Dodge Challenger and Charger models from the Fast Lane Mopars Club had already lined the south end of the lot. Over the next hour several more caravans pulled in, including Mazda RX5s (Miata), Mustangs, Chevy Cobalts, Corvettes, and BMWs, with each group carving out their own sections of the lot. 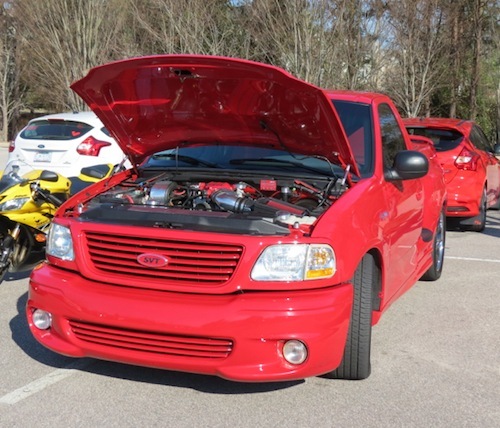 Didnt we cross paths at Cars and Coffee Fayetteville last week? By 9:30 a.m. the parking lot was bustling, the theaters concession stands were humming, and temperatures pushed high enough to begin removing jackets. If you were looking for ideal morning automotive meet up conditions you found it at Raleigh on Saturday. 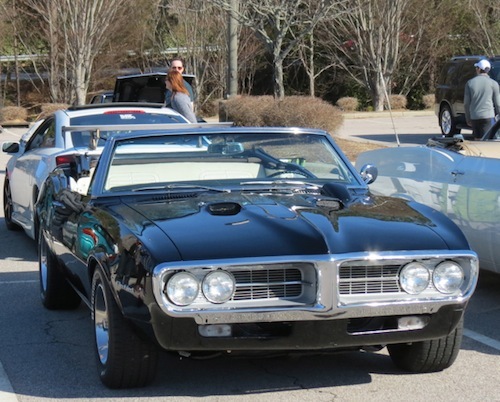 Dave Marsic, one of the organizers for Cars and Coffee Raleigh, was overwhelmingly pleased by the turn out, having anticipated no more than 200 participants, but ending up with more than 300. Auto Trends estimates that number was between 350 to 400, including people who stopped in for a while and then left. The Raleigh Grande Theater opened its concession stands, giving people access to coffee and snacks, as well as to the bathrooms. The theater reported going through five huge containers of coffee before they ran out. Conveniently, the theater also scheduled an 11:15 a.m. showing of the just released Need for Speed movie to give car lovers another reason to hang around. A collection of European cars in front of the Raleigh Grande Theater. 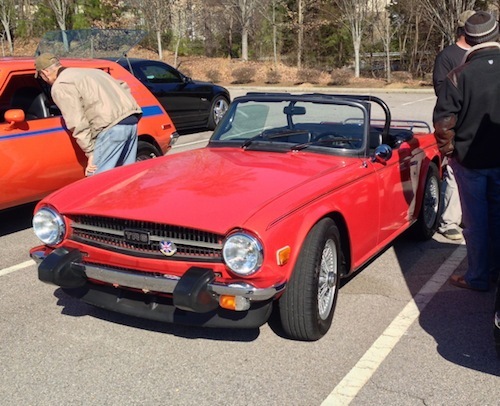 The return of Cars and Coffee to Raleigh now gives the Triangle region (central North Carolina) two such events each month. Cars and Coffee Cary meets the first Sat. 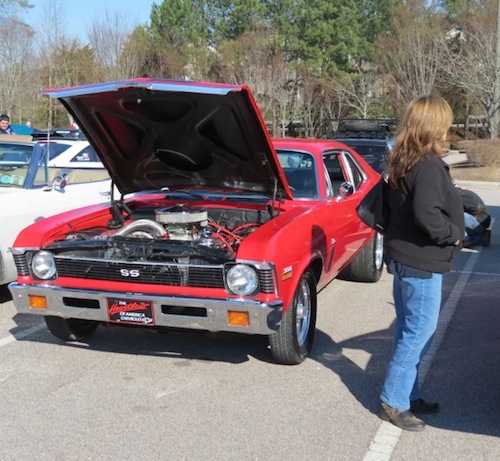 of the month and Cars and Coffee Raleigh will continue to meet on the third Saturdays its next meeting is scheduled for April 19, 2014. Chris Chandler, one of the organizers for Cars and Coffee Cary was at the Raleigh event and told Auto Trends that beginning with its next meet up on April 5, 2014, the Waverly Place Shopping Center on Kildaire Farm Road would make available a third lot, this one located on the upper section of the property, effectively increasing capacity to 600 cars. 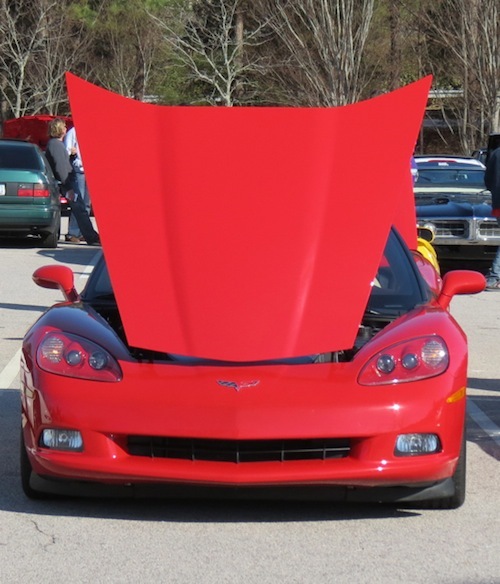 So, at least in one area of the country outside of car-crazy California there are now two monthly Cars and Coffee events within easy reach of local enthusiasts, with warmer weather and convenient venues set to accommodate participants and visitors alike. Classic and contemporary Ford Mustangs were well represented. 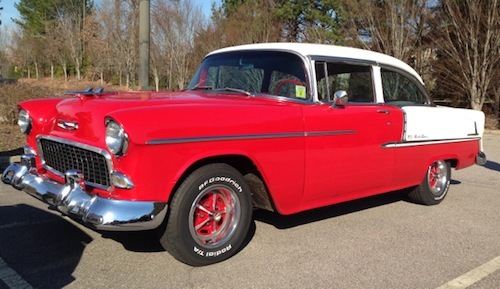 This 1995 Chevrolet Bel Air has been beautifully maintained inside and out. 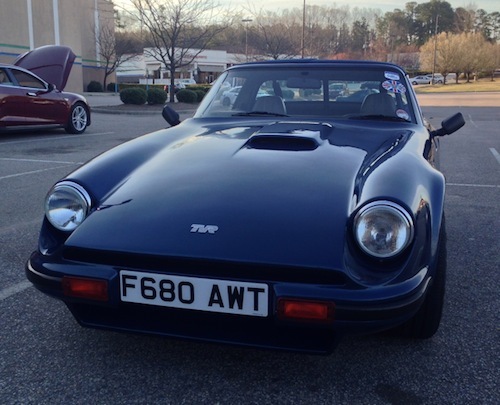 was this TVR roadster, a British-built vehicle. 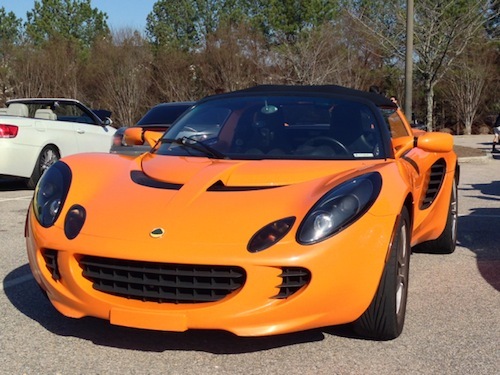 Big smiles from this orange cream Lotus Elise. 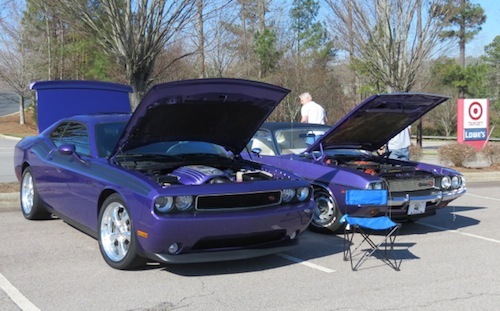 Deep purple: Contemporary and classic Dodge Challengers. 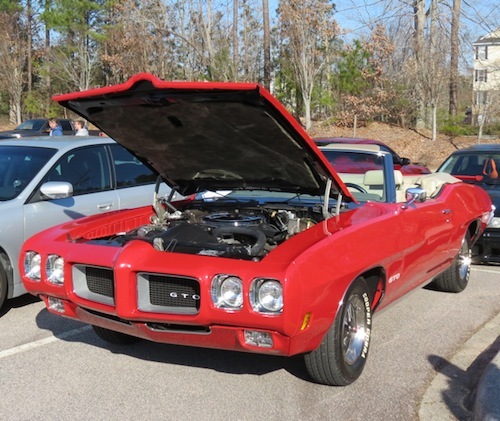 Drop top goodness with a classic Pontiac Firebird. is 400 cubic inches of V-8 goodness. 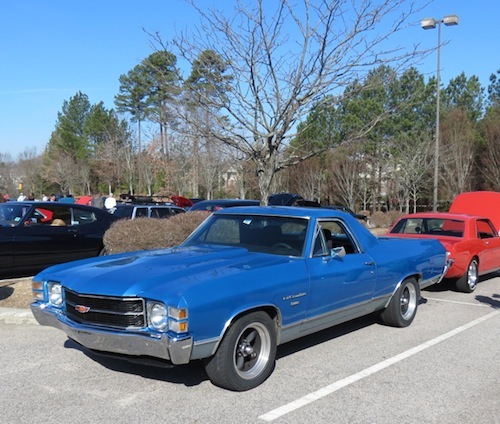 The Chevrolet El Camino is the consummate car-truck. 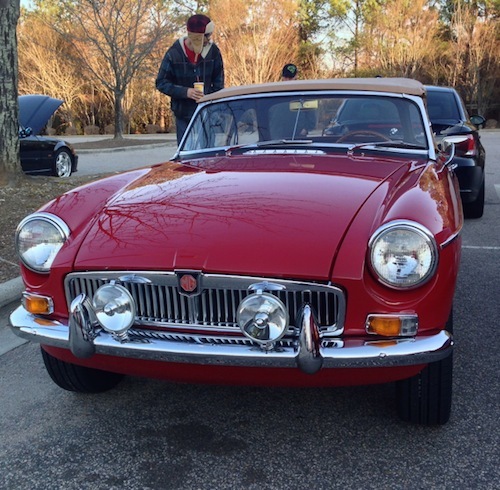 A classic MG Roadster in mint condition. How much horsepower under that hood, bud? the Mopar contingent as the morning wore on. Custom trucks and motorcycles dotted the inaugural event. 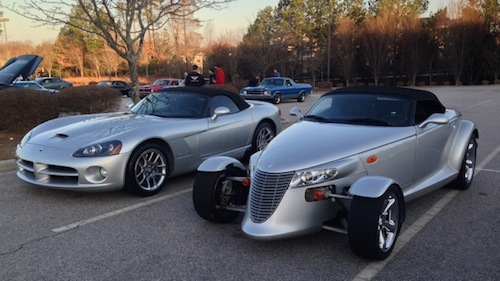 Uncommon Mopar: Dodge Viper and Plymouth Prowler. Yet another Union Jack model was represented. Im guessing a 1967 Chevrolet Chevelle Malibu SS. More SS goodness, this one a circa 1970 Chevy Nova. may hinge upon moving manufacturing elsewhere. Within the next four years, the last remaining automotive factory in Australia will close. Ford, GM and Toyota each have manufacturing plants in this southern continent country and all three recently announced that their respective plants will soon shut down. That Australia will be without a car manufacturing plant may seem surprising to some. However, when you learn why automotive plants were built there in the first place, you may understand why they’ll be closing. Like many nations, Australia has long had tariffs in place on a number of goods. Tariffs are a tax or a duty paid on imports or exports, typically put in place to protect local manufacturing. Earlier tariffs of 54 percent made it worthwhile for foreign manufacturers to build and maintain plants in the country. And as long as those tariffs were in place, then a handful of automakers would and did build locally, reaping a competitive advantage in a relatively small national market. Yes, Australia’s population is small: the country is home to 22.7 million people. Australia’s population has grown by 50 percent in the last three decades. Canada, with 34 million people, has automotive manufacturing plants too. However, the US and Canada have had trade agreements in place for decades what allows cars and parts to move primarily between Michigan and Ontario free of tariffs. Globalization is a word used commonly today, but its roots go back many decades. The second Random House definition for the word may best explain what is going on in Australia today, indeed in the rest of the world, …the emergence since the 1980s of a single world market dominated by multinational companies, leading to a diminishing capacity for national governments to control their economies. In Australia, it was the Button Car Plan of 1984 that ushered in the gradual demise of local automotive manufacturing. An Australian publication, Manufacturers Monthly took a look at its impact in 2011, tracing the industry’s subsequent decline. Specifically, the plan was adopted in a bid to force industry consolidation, thereby making it more efficient. The plan as crafted and later adopted forecast increased competition from imports, in an effort to improve the industry. Declining tariffs would play a significant part in that change, falling to 30 percent in the 1990s, then down to 15 percent by 2004. By 2010, tariffs dropped to 5 percent, but the rate comes in even lower when various trade agreements with other countries are factored in. Perhaps the most telling change in recent years is the big decrease in local production, currently at half of the 409,000 units produced as recently as 2004. Even so, most of the cars built in Australia are exported including the Chevrolet SS, sold as the Holden Commodore in Australia. It represents a dying breed of large, rear-wheel drive models that sates the appetites of a limited number of buyers around the world. Meanwhile, Australians are embracing the many smaller and less costly models imported from abroad including Thailand, Malaysia, Korea, and China. Many Australians are upset over the auto industry’s demise and rightly so: tens of thousands of direct and feeder jobs will go away. Likely, Australia’s brimming economy will take a hit its current 6 percent unemployment rate may rise. Even so, one group of retailers car dealers will find a way to roll with these changes. The pending changes to Australia’s automotive industry will have some effect on dealers. Nevertheless, dealers such as DVG in Perth will continue to serve their customers with a wide variety of products from different manufacturers, said a spokesman for the DVG Automotive Group. The company has 38 dealerships in nine locations and counts current local producers Toyota and Holden (GM) among its 18 new car brands.